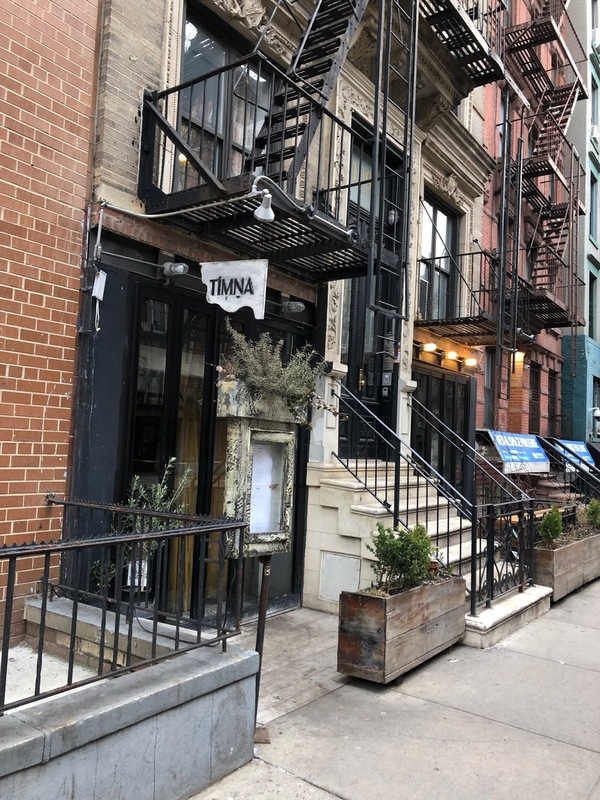 Timana, the Israeli-Mediterranean restaurant at 109 St. Mark’s Place between Avenue A and First Avenue, is closing after service on April 14. Four years ago, I‘ve had an idea to cook modern Israeli food, to open a small place with a small but dedicated staff. We have invested all our energy in cooking and hospitality, bringing the Israeli essence and character to the plate, here in NYC. Timna was created out of thin air, built with our own hands. We’ve always kept our modesty and our feet on the ground. I promised myself and my clients that everything will be at the highest standards, to best of my ability (and budget), whether it’s the food, our attitude toward the customers, and the employees who work with us. Unfortunately, after four amazing but undoubtfully challenging years, we are forced to close Timna. The restaurant will remain open until April 14th — so come and celebrate with us the years that we’ve had, and those that still await all of us. This is undeniably a very difficult decision, which I did not really want to make but was really forced to make. Financial issues and all sort of disagreements have led me to deal with running the restaurant without support, to such extent that it can no longer be sustained. I know that many people will miss Timna, I certainly will, but I choose to remember all the good things, embrace and learn from the bad, and realize that there is no choice but to move on to the next big thing. I would like to thank my beloved staff who accompanied me all these years, each of you have added character and color to this place called Timna, and of course a huge thanks to our customers, coming from afar or from across the street. Each and every one of you who walked into the restaurant in these past four years would make me excited every day that you’ve chosen to dine at Timna. Timna opened in April 2015 in space that was formerly an outpost of the mini-chain of Hummus Place restaurants.